SAN FRANCISCO (CN) – A Ninth Circuit panel on Tuesday affirmed a federal judge’s order preliminarily barring California from enforcing a voter-approved ban on high-capacity gun magazines. In Duncan v. Becerra, U.S. District Judge Roger Benitez temporarily blocked a portion of Proposition 63 that prohibits possession of magazines holding more than 10 rounds of ammunition. The issue is set to go to trial this fall. 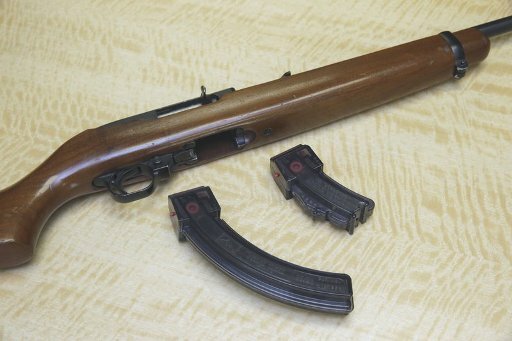 California Attorney General Xavier Becerra appealed to the Ninth Circuit, arguing Benitez abused his discretion in granting the injunction in favor of Virginia Duncan and the California Rifle & Pistol Association. But in an 8-page unpublished memorandum issued Tuesday, U.S. Circuit Judge Norman Smith and U.S. District Judge Deborah Batts of the Southern District of New York ruled Benitez used the correct level of scrutiny to decide the preliminary injunction. “The district court did not abuse its discretion by concluding that magazines for a weapon likely fall within the scope of the Second Amendment,” the judges said, adding that Becerra hadn’t pointed to any errors made by Benitez. “[Becerra’s argument] is insufficient to establish that the district court’s findings of fact and its application of the legal standard to those facts were “illogical, implausible, or without support in inferences that may be drawn from facts in the record,” the majority held. In his dissent, U.S. Circuit Judge John Wallace said a “reasonable fit” between gun owners’ rights and Proposition 63 can be accommodated if the state can show it does not challenge or burden core elements of the Second Amendment. Wallace disagreed with his colleagues’ “judgment calls” on evidence submitted by the state in the case. “California’s evidence – which included statistical studies, expert testimony, and surveys of mass shootings showing that the use of large-capacity magazines increases the lethality of gun violence – was more than sufficient to satisfy intermediate scrutiny,” Wallace wrote. Wallace said the September 2013 Mayors Against Illegal Guns Survey, which Benitez wrote off as “inconclusive and irrelevant,” satisfied the requirement for relevant evidence. The survey shows that assault weapons or large-capacity magazines were used in at least 15 percent of the mass shootings reported, and that in those incidents 151 percent more people were shot – and 63 percent more people died – than in other mass shootings the researchers looked at. Plaintiff attorney Chuck Michel with Michel Associates said his clients are “thrilled” with the court’s ruling. He said gun owners hope they won’t be “turned into criminals” by state laws that ban what they’ve possessed legally for years. “These standard capacity magazines are overwhelmingly chosen by law-abiding citizens for sport or to protect their families,” Michel said. In a statement, the California Rifle & Pistol Association – which joined as a plaintiff in the case – called the ruling a blow to Lt. Gov. Gavin Newsom’s “anti-gun agenda.” Newsom is also the front-runner to be California’s next governor. The gun-rights advocacy group questioned the merits of Becerra’s appeal, pointing to a motion for summary judgment which Benitez has yet to decide. A ruling on the merits of the case is also expected later this year. Magazines holding more than 10 rounds have been banned in California since 2000, but a previously intact grandfather clause allowed lawful owners who purchased high-capacity magazines before the law to keep them. Proposition 63, passed by 63 percent of voters in 2016, eliminated the grandfather clause. A section of Proposition 63 required owners of guns with high-capacity magazines to surrender lawfully purchased property or face criminal prosecution. The ban was to take effect on July 1, 2017. No government buyback was included in the law. The plaintiffs say some gun owners could lose thousands of dollars in magazines – amounting to an unlawful taking, they say.